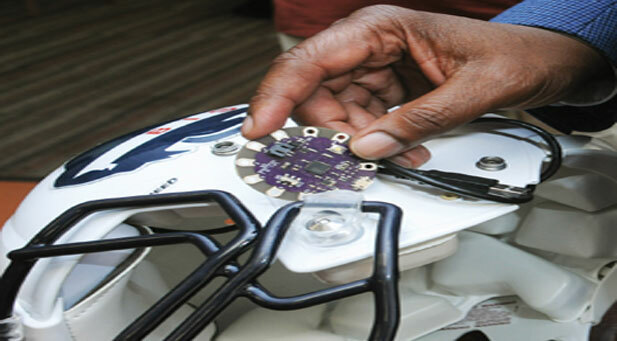 Dr. Gary Harris hopes to improve the way the Howard University Bison football team combats concussions, using this “Lilypad” Arduino chip to measure impact during games. WASHINGTON, D.C. (NNPA) – Despite the flurry of news about NFL lawsuits over concussions, the problem affects far more athletes at the high school and junior high school level, according to the federal government statistics. In 2009 alone, nearly 250,000 youth age 19 or younger were treated in emergency rooms for sports and recreation-related injuries that included concussions, according to the Centers for Disease Control and Prevention (CDC). 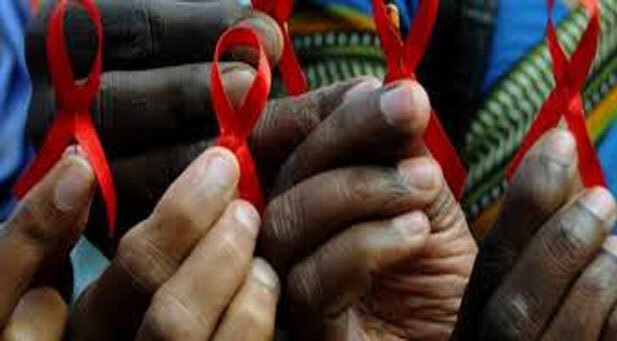 Between 2001 and 2009, the rate of such visits rose 57 percent. Concussions occur when the brain is shaken violently against the skull. Although concussions are the most common brain injury, widespread awareness and concern about this issue in the world of student athletics is fairly recent. But it is especially relevant for Black communities, particularly young men most likely to die from traumatic brain in-juries, according to the CDC. And according to data from research nonprofit, Child Trends, 50 to 60 percent of Black American high schoolers were on a sports team in 2011. In severe or untreated cases, they can cause brain damage, seizures, emotional distress, and death—in fact the CDC estimates that 5.3 million U.S. citizens are living with disability as a result of a traumatic brain injury (or TBI, an umbrella term that includes concussions). “From an athletic trainer perspective concussions have always been a big concern. Coaches seemed to think that injuries increased because [athletic trainers] were there, but really it’s that awareness is increased,” says Jennifer Rheeling, a veteran athletic trainer in D.C. Public Schools and chair of the Sports Medicine Advisory Committee for the D.C. State Athletic Association. On the most diligent and well-resourced student teams, players take baseline tests—a battery of motor skill drills and survey questions to record their individual peak cognitive health—and have athletic trainers who check for signs of decline. If a concussion is suspected, a player does another test to compare those results to his or her baseline. The ImPACT Concussion Management pro-gram is currently the program of record for these tests among school athletic programs. But according to Dr. Vernon Williams, neurologist and medical director of the Sports Concussion Institute, a lack of access to care compounds the (now fading) problem of awareness. ImPACT, for example, costs a minimum of $400 per year for 100 baseline tests and 15 post-injury tests for one school. Meanwhile, many schools and school districts, largely populated by Black and brown children, routinely have to make cuts to balance their budget.